When buying a home of any age, size, or style, it is vital to be aware of its current condition. Our detailed home inspections for buyers report will cover every aspect of the home’s current condition. This report will cover the entire home, from foundation to roof, inside and out. Our detailed report will provide you with a valuable tool in the real estate purchasing process. See The full inspection page for more detailed information on our process. Pricing is square footage based. When buying a home of any age, size, or style, it is vital to be aware of its current condition. The main three components of a HomeTech Pre Home Inspection for buyers are safety, habitability, and potential high cost repairs. 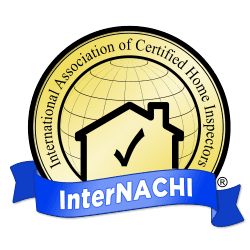 Our detailed home inspections for buyers report will cover every aspect of the home’s current condition from foundation to roof, inside and out all centered around the 3 main components. You want to move into a home that’s safe for you and your family. A home inspection for buyers report will determine potential safety concerns that you might not realize upon viewing a property. Safety is important, as a faulty electrical system that is ignored could easily turn into a fire hazard. A leaking faucet could turn into hidden mold, causing health problems. Or a staircase with non-permitted work could result in serious injury to those living within the home. Unique to Utah, it’s important to get your home tested for Radon, as 1 in 4 homes in Park City, Heber City and surrounding areas will test positive for Radon. Radon gas can seep into a home from the soil through dirt crawlspaces, cracks in the foundation and walls, floor drains, pipes and sump pumps. Radon can enter any home, old or new, even those with no visible cracks. Each building is unique, and the ground beneath it is also unique. ​Is this home a place people could live? In this part of an inspection, we’ll look over the electrical system, plumbing and heating/air conditioning. In a home inspection, we’ll use infrared technology to determine if the heating systems work correctly, as well as check for leaking pipes and check to see that all outlets and switches are in working condition. As a new home owner, dealing with a broken heat source or leaky pipes could be a headache upon moving in. It is important to get items that will effect the way you use and live in the house addressed quickly. These are sometimes known as “deal breakers” or a negotiating tool in an inspection report. Most of these items will come up in a HomeTech Inspection report as “Repair or Replace” – this means the item is not functioning as intended and needs repair or replacement. Further evaluation is usually needed by a qualified licensed contractor or speciality tradesman dealing with that item or system. Examples of these types of items include roof in need of major repairs, structural issues, heating/cooling malfunction, water leaks/damage/mold, foundation cracks and improper ventilation. Extreme mold can be a very costly repair. This is the leading cause of dry rot, major structural damage and toxic mold. It is important that grading of the property slopes away from the home. The roof must be inspected and be watertight. Plumbing throughout the home must be free from leaks. A home inspection includes a visual inspection for mold and mold producing conditions; such as moisture intrusion. It may include the use of specialized equipment in warranted, but the price does not include testing. Mold testing can be added to a home inspection at a discounted rate if warranted, or desired by the client. See Pricing for details.